After publishing our polarizing filters test new Hoya HD filters found their way to Polish shops, which, apart from a very catchy media name, were supposed to be mechanically resistant. We don’t pay special attention to that feature in our tests but, taking into account huge interest in these products, we decided to check their optical properties. What’s more, in the commentaries below some people were complaining, and not without a reason, that we omitted the Cokin system filters. That system is very popular among more demanding users because it allows them more freedom of action when working with filters (especially graduating filters). 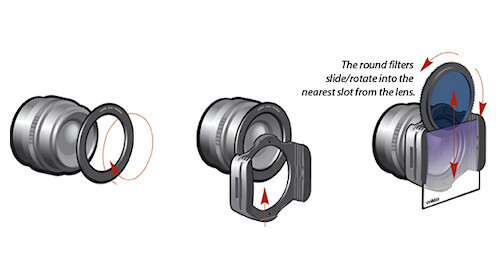 It is based on a universal filter thread, suitable for all SLR cameras, video cameras, medium and large format cameras. 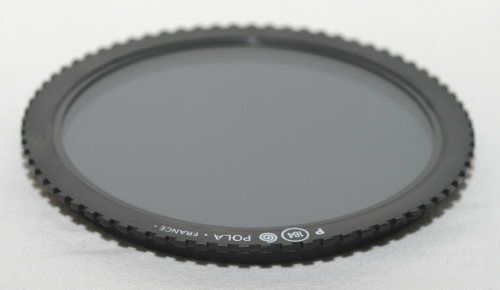 As a result you don’t need to buy a lot of filters with different diameters to fit particular lenses. We can use one set of filters with all the lenses and an appropriate holder. The fact, that an ordinary filter can be simply put on and forgotten about and a filter with a holder must be put on and off constantly, can be considered a fault in the Cokin system. 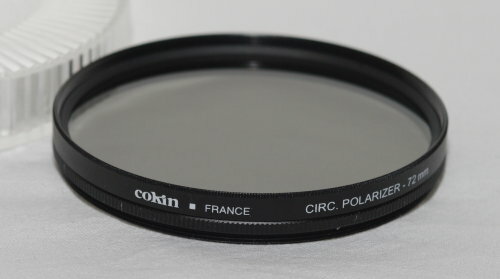 Maybe exactly because of this problem Cokin offers also an ordinary screw-on polarizing filter and we tested it, of course, as well. 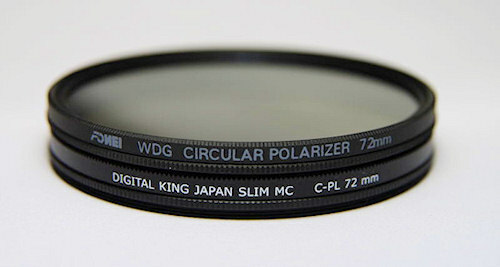 As a part of other updating of the test we added a Fomei WDG Circular Polarizer 72 mm filter and a King Digital Slim MC C-PL 72 mm. The testing procedure and the assessment criteria, adopted by us, are similar to those used in the previous test and described more precisely on the following page. This way we were able to compare the results directly but you must take into account the fact that in the flares testing the frame lightning changed due to different season (snow). Homogeneity was assessed compared to the reference image, which, due to difficulties of practical nature, was not ideal. In order to eliminate any doubts we should make it clear from the beginning: the visible artifacts don’t come from the tested filters but from the reference beam. 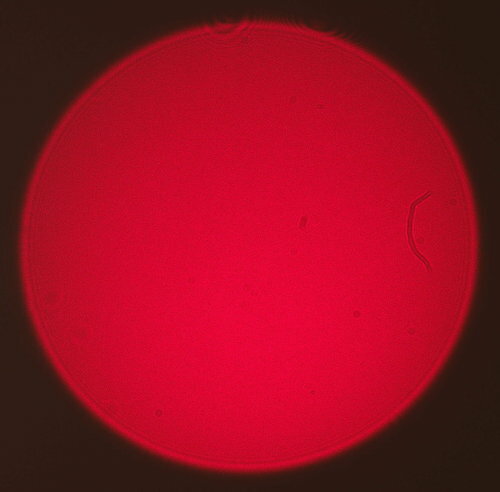 Reference image which was used during homogeneity test. You should also be aware that, due to significant price rise in the last months it is difficult to compare the prices given here to the filter prices from the previous test. 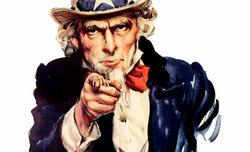 It was the reason why we decided not to publish the Econo- ranking of the tested products.